Intake of unhealthy food will result in the destruction of body cells. Foods that increase the chances of the existence of free radicals have been shown to be the major agents of destruction of body cells. Once the body cells are destroyed, the organs in the body are unable to function properly. One needs to avoid taking foods that are harmful to their cells. The effects of eating unhealthy foods may also lead to cancer. Cancer is the abnormal development of cells caused by certain lifestyle and poor eating habits. It is important to observe what you eat so that you prevent free radicals from developing. Smoking, excessive alcohol, and other foods are known also known to enhance the risk of cancer. Unhealthy eating may also cause a myriad of other diseases including heart diseases, high blood pressure, hypertension, diabetes, and obesity. Foods that are high in cholesterol cause a variety of conditions including heart disease which can be lethal. You should also avoid unhealthy eating because it can cause you to become overweight. It also keeps your body unfit and may make you look older than you are. 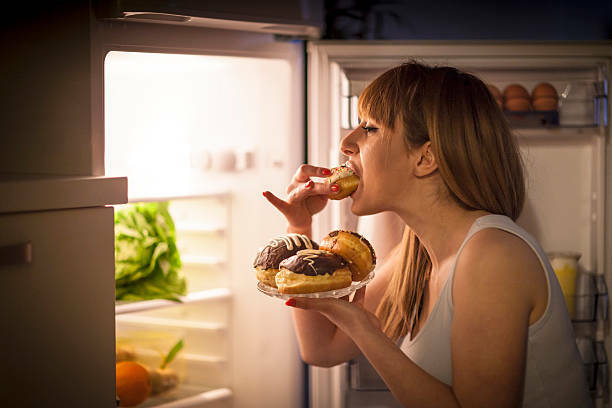 Intake of unhealthy food such as those that have high levels of calories such as fats will cause accumulation of fats within the body resulting in overweight. Your skin will also be affected by poor diet because it is the largest organ that causes perspiration and is exposed to various chemicals that will require it to be protected. Diseases caused by excess nutrients or inefficiency of nutrients also result from unhealthy diets.